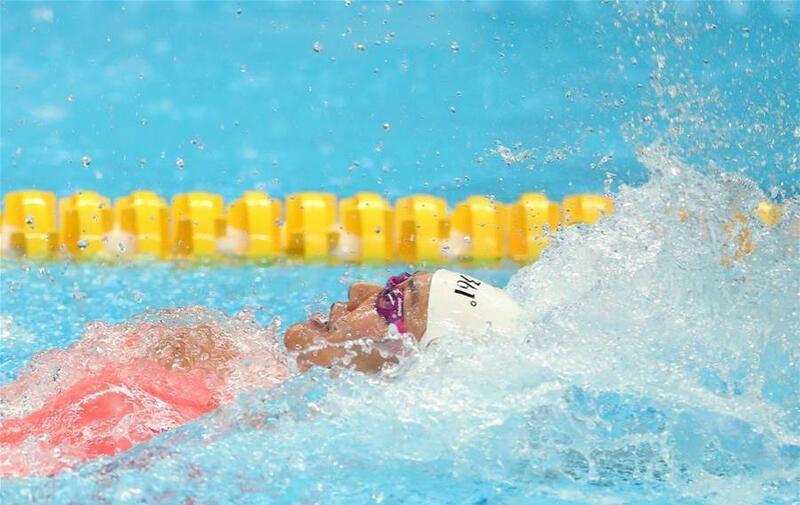 Liu Xiang of China set a new world record of 26.98 seconds in the women's 50m backstroke final at the Asian Games. Liu Xiang of China competes during women's 50m backstroke final of swimming at the 18th Asian Games in Jakarta, Indonesia, on August 21, 2018. Liu won the gold with 26.98 seconds and set a new world record. Liu Xiang (R) of China is seen after the women's 50m backstroke final of swimming at the 18th Asian Games in Jakarta, Indonesia, on August 21, 2018. 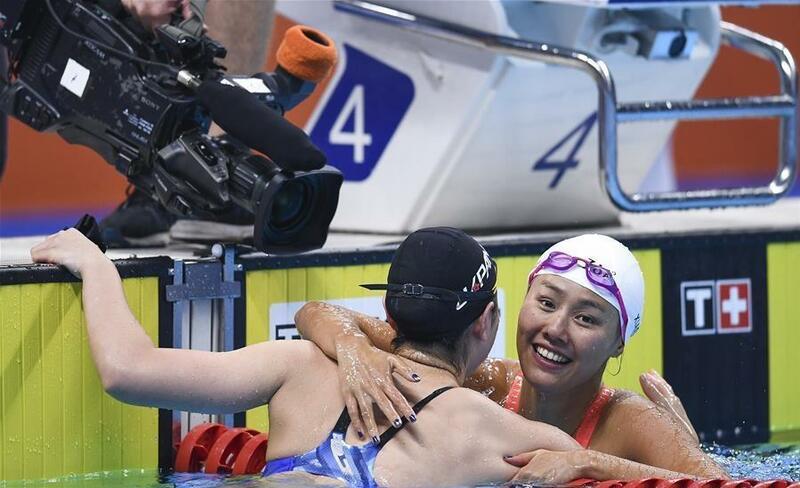 Liu won the gold with 26.98 seconds and set a new world record.